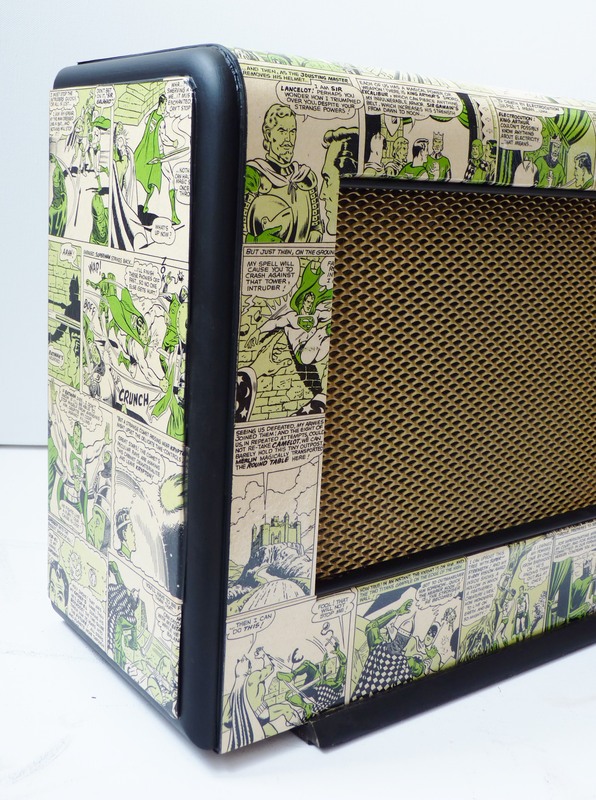 With my very own Superman, I’ve just had a go at breathing new life into a vintage extension speaker. These can sometimes be found lurking in the back of junk shops gathering dust. Not wanting to see anything that can be used or re-purposed go to waste, we took up the challenge and ta da …. 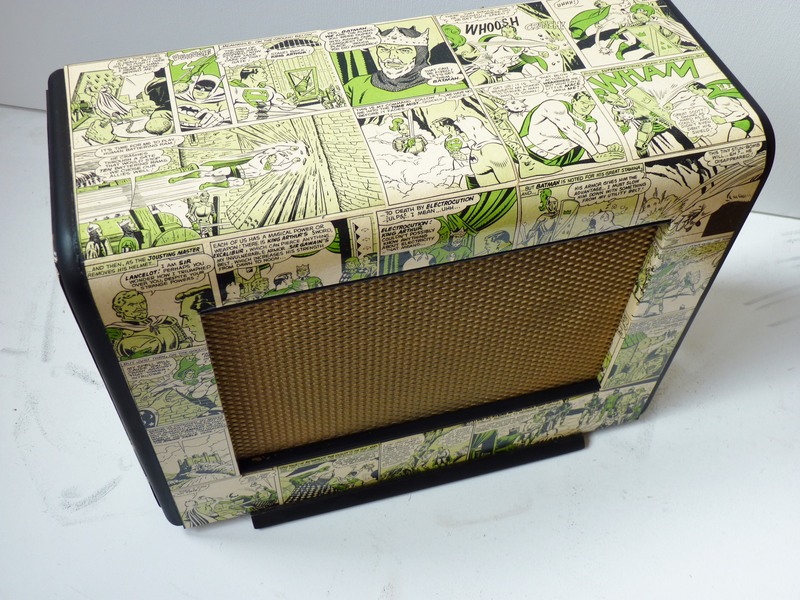 Meet our latest iPod/mp3 amplifier. Cheerfully finished off with a collage made from a tatty and dogeared 1968 annual. Once drab and dreary, beige and broken, it couldn’t look more different. Now fully functioning and looking seriously smart. 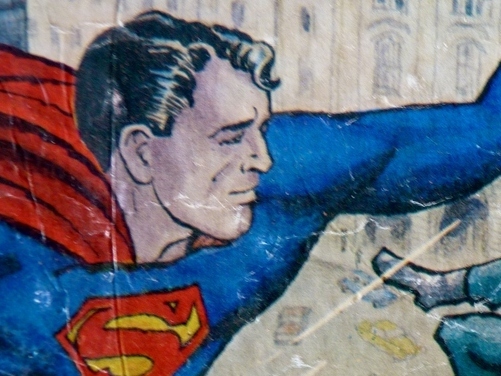 And as for Batman and Superman, why they’ve hooked up together and got involved with King Arthur and the Knights of the Round Table? 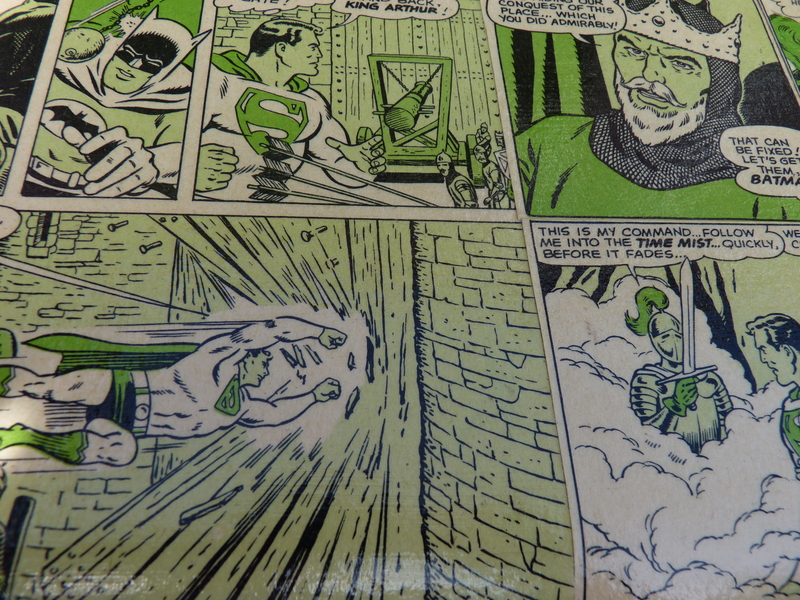 Perhaps the inspiration for the story came from a particularly trippy sixties dream. If only they’d got hold of Doctor Who … now that would make complete sense – Time Lord and seasoned time traveller. 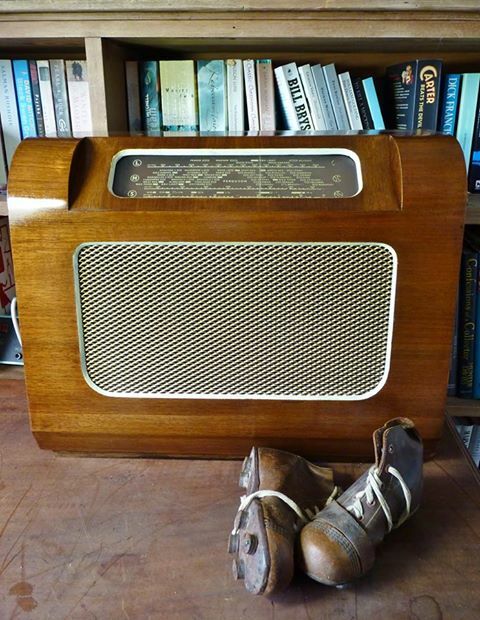 Trying to think of different ways of showing how great a vintage radio is can be quite a challenge. 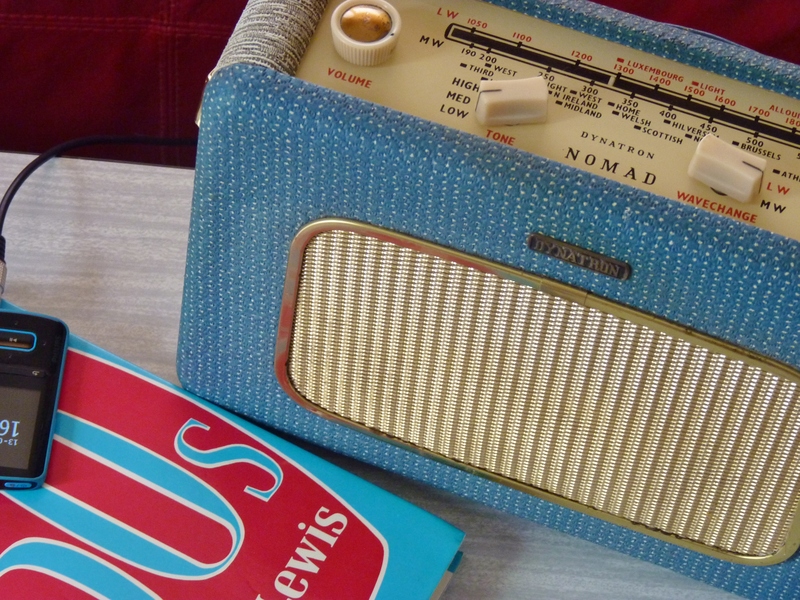 Of course our radios are strikingly good looking, but they are so much more than ornamental. 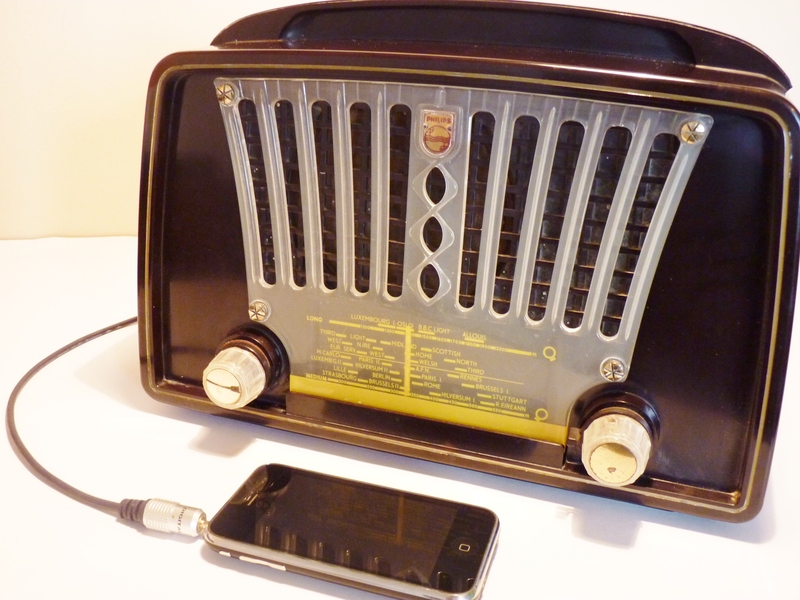 Our modified Vintage Valve Radios are a great way of using your iPod or computer to listen to your music with the added bonus of a warm valve sound. There has been much debate about the quality of sound in serious music listening circles. I just know what I like to look at and listen to. 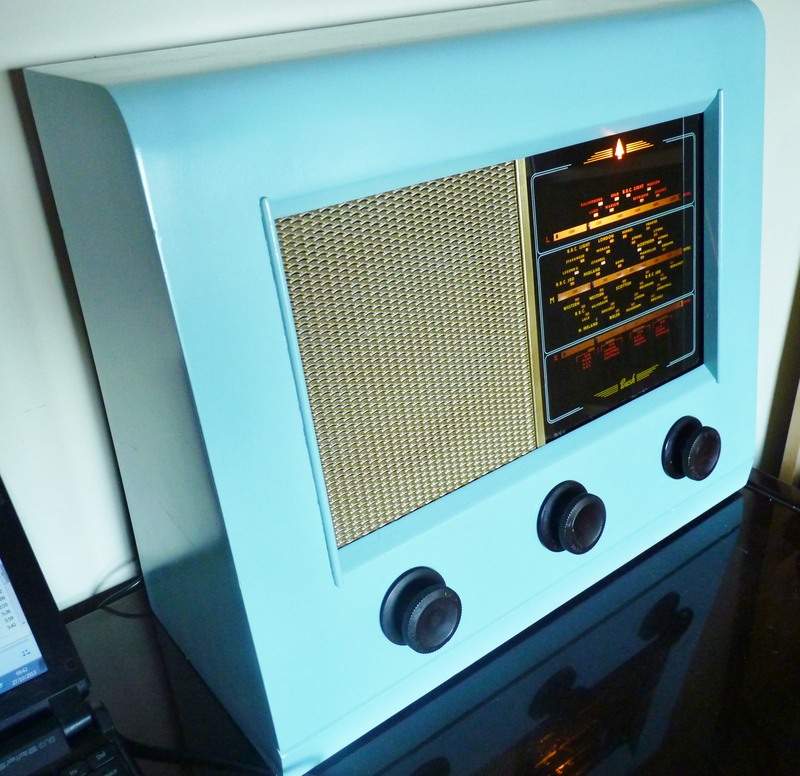 The valves slowly warm up and you know what they say … “Real radios glow in the dark”. 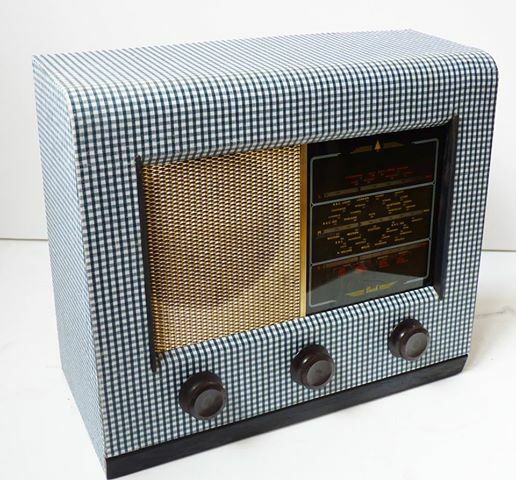 Today’s spotty blue and white, vintage handbag radio dates from the late fifties and is an early example of a portable transistor radio made by Dynatron. All the electronics and the large elliptical speaker are packed neatly inside and it produces a great sound. Dynatron was the trade name used by Ron and Arthur Hacker who, despite being self-taught, were always at the cutting edge of radio technology. They began making radiograms and wireless receivers in a room above their father’s grocers shop in Maidstone in the South of England. In 1928, when they were both still teenagers, they built their first factory in the back garden of their family home. The Hacker brothers left Dynatron in September 1959 and set up the highly regarded Hacker Radio Limited. 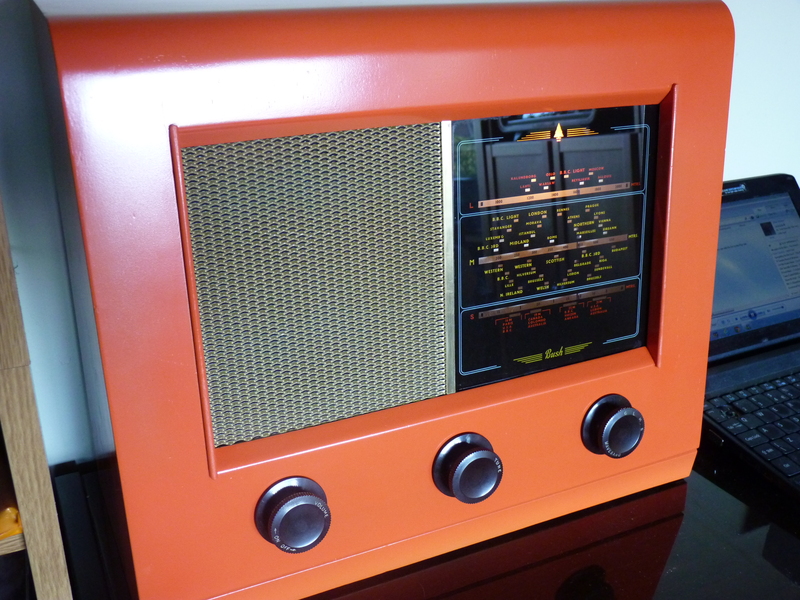 The Nomad radio is likely to have been one of the last portables produced by Dynatron before the brothers moved on. 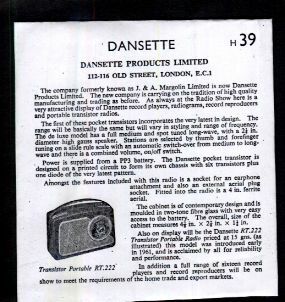 They continued to produce some of the best sounding British portable radios using high quality materials, components and design. 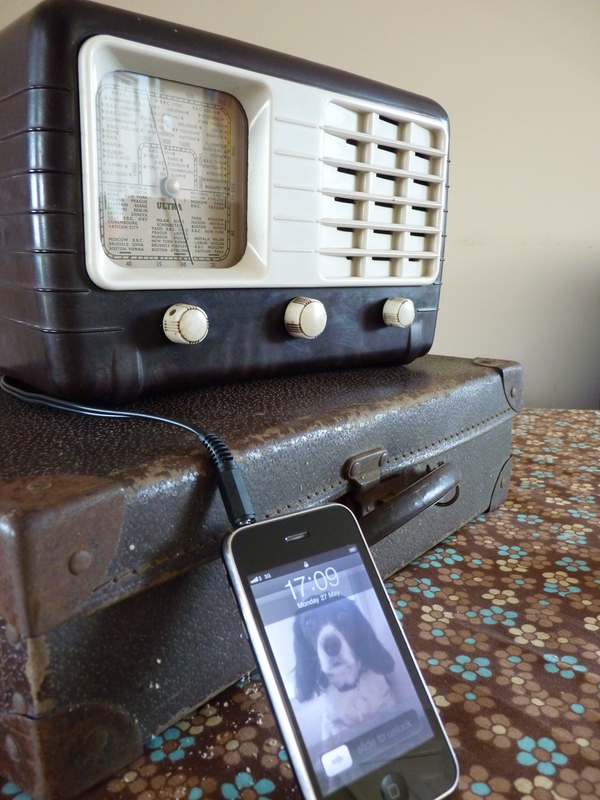 Unusually this radio still has its original handle and has been cleverly converted to play from MP3 or iPod. According to The Sunday Times, Sideboards have finally made a comeback. So why not go one step better and make it a radiogram. 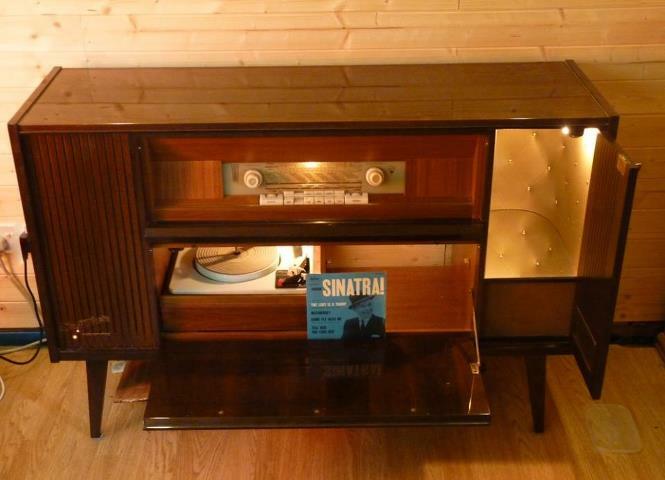 The once forgotten radiogram is back, bang on trend, and look what we’ve got ready and waiting for a new home. Load it with cocktails and sit right back and enjoy the sounds of the sixties. If you can’t be faffed with playing records, we can take out the record deck and make even more room for storing the glasses and icebucket. You can plug in your iPod or MP3 player and off you go.